Today’s education or corporate campus environment requires that employees, students and visitors have access to immediate assistance from your corporate or campus security staff. Emergency call towers can communicate via telephone, radio and even via the internet. They can be equipped with CCTV cameras to view the person requesting aid as well as providing a view of the area surrounding the call station. 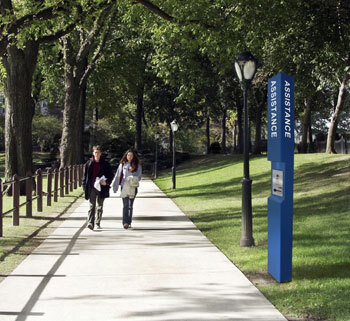 With years of experience in securing campus environments, Security Specialists can design a system for your specific requirements.